The national student body is as diverse as the population of the country itself. The abundance of financial aid programs reflects this great level of diversity by offering scholarships for students from many different backgrounds, and with many diverse interests. While we are all familiar with high profile academic and athletic scholarships, there are many more programs designed to reward a deserving student’s extracurricular activities, personal hobbies and interests, unique talents and distinctive cultural heritage. Most college-bound students are generally aware of the scholarship programs supported by government agencies, universities and corporations. These high profile financial aid programs get the lion’s share of the attention, but there are many more scholarship programs available to the industrious student who is prepared to do some research, and spend some time hunting them down. These programs may be supported by local or national civic groups, clubs and associations, businesses or independent endowments. 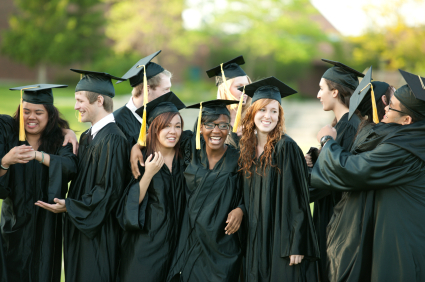 Extracurricular activities are often a consideration in many merit-based scholarship programs. The student’s participation in various clubs and civic groups can be a deciding factor in the awards process. But there are also a number of scholarships solely devoted to rewarding a student’s interests, hobbies and club affiliations. When searching for college funding, look for scholarship programs that are closely linked to your own hobbies and interests. Also consider funding that may be available from any regional or national clubs to which you belong, and contact the administrative offices of the organization to find out if they support any college scholarships for their active members. Please refer to the following sections for more information on scholarships dedicated to extracurricular activities. Colleges and universities routinely offer scholarships to attract the best and brightest students to their campuses. But not all students take the road well traveled in their pursuit of an education. Many students choose a different course, and may have very different educational goals and backgrounds. For example, the trend for home schooling is growing across the country. Many parents are now choosing to remove their children from the public school system, and educate them at home. While this can offer children an intense, and highly structured, learning environment, it also isolates them from the standard pool of scholarships and grants available to public high school graduates. Recently, a number of organizations have developed scholarship programs specifically dedicated to home schooled students. The following section contains specific information on financial aid programs dedicated to home schooled students. As students search for financial aid for college, they will find a large number of grants and scholarships designed to benefit both gender and ethnic minorities. These programs are fairly well established, and generally apply to every field of study. African-American’s, Native Americans, Asian-Americans and Hispanics will be able to find a wide range of scholarship programs dedicated to helping them achieve their educational goals. Many of these programs concentrate on students pursuing distinct career paths, and offer incentives for minority students to pursue an education in fields in which they have been historically under-represented. The majority of minority specific scholarships are dedicated to teaching, healthcare, science, technology, engineering and mathematics. Many students who do not fit within the commonly perceived ethnic minority category, may find that their own cultural heritage also offers an avenue to college funding. Many regional and national civic groups provide scholarships for members of their own cultural community. For example , the National Italian-American Foundation provides scholarships for students of Italian descent. Many other national organizations, such as the German-American Heritage Foundation, and the Japanese-American Citizens League also support scholarship programs for students according to their cultural heritage. Students looking for college funding should consider their own family’s cultural heritage as a link to further financial aid. Many faith-based scholarships are available to students from within their own religious communities. These programs may be supported at the local or national levels, and typically offer financial support to students who have demonstrated a strong commitment to their church and their faith. Some of these scholarship programs may offer financial aid to students pursuing general studies, while others may specifically target those students who are pursuing religious and theological studies. College-bound students of every faith – Jewish, Muslim, Buddhist, Hindu and Christian – should contact their religious leaders for information on scholarship and grant programs designed to help them realize their educational goals. For further information on faith-based scholarships please refer to our section on Religious and Theological Scholarships. Students with disabilities face a number of challenges, not the least of which is finding the necessary funds to pay for college. Many national organizations support scholarships for students with physical disabilities, learning disabilities and debilitating health conditions. Students with disabilities, or severe health issues, should begin their financial aid search by concentrating on regional and national organizations devoted to their specific condition. It can also be beneficial to link the specific disability or health condition with the student’s desired area of study. For more specific information on scholarship programs devoted to helping students with disabilities please refer to the following sections of the College Scholarships website. A large number of scholarship and grant programs target those students in extreme, or unique, personal circumstances. Often, these programs will be regionally based, and will target the dependents of first responders, military personnel or disaster survivors. Still other programs are designed to help students from “at risk” and “low income” communities, and children aging out of the foster care system. The one thing all of these scholarship programs have in common, is that they are decided according to the applicant’s unique life circumstances. The search for these scholarship programs should begin at the local level, with students contacting their state’s Department of Higher Education. Following that, the search can broaden to include national programs that may address the individual student’s needs. Non-traditional students face a number of different obstacles in their quest for a college education. Non-traditional students are typically adults who are returning to school to complete an interrupted education, or are heading to college for job training to make them more successful in the workforce. Military personnel, both active and retired, also fall into this category. In many cases, these non-traditional students must juggle a return to school with work and family responsibilities, making their college career even more challenging. While most scholarship programs target what is considered the average college bound student, young and fresh out of high school, many new programs are being developed to help older students who don’t fit the established mold. As more and more adults return to college, financial aid programs specifically designed to address their needs as students are becoming available. Scholarships come from a wide range of sources, and address the needs of a wide range of students. The uniqueness of a student’s background, cultural heritage and life experience can lead to a wide array of scholarship opportunities. The secret is to apply your own individuality to your search for college funding. Leave no stone unturned, and don’t quit until you have exhausted all of the financial aid possibilities.